I recently used Down to Earth Electrical for a complex wiring project in my home/workshop and it was done quickly, efficiently and to budget. When I changed a detail it was incorporated easily with minimal extra cost. I would recommend them. I have been pleased with Peter’s work. He has been pragmatic and diligent and his charges are reasonable. I have used him on more than one occasion and intend to do so again in the future. Having witnessed Peter’s electrical work at both my sister’s house and my own, where he re-wired and generally updated electrical systems, I would recommend Down to Earth Electrical (Malvern) without any hesitation. 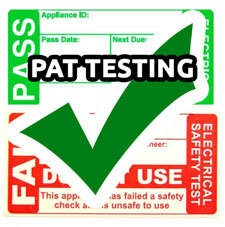 Peter is thorough, conscientious and very reliable and I have found his pricing for electrical work good value. Peter has been very reliable and professional. He was very helpful and I would recommend him to others. I wouldn’t hesitate to use him again for any electrical work if needed. I contracted Down to Earth Electrical to re-wire my home in 2012 and was delighted with their customer service. Peter took great care to ensure the services that I required were designed into the property and took the time to explore options to bring the house safely up to date. As re-wiring a house is enormously destructive to the home environment, I was happy to see Peter take great care in his approach and he was able to keep the mess and clutter down to a minimum. I would thoroughly recommend Down to Earth Electrical for any domestic electrical work.